Hammocks can provide hours of relaxation, comfort and enjoyment when you choose the one that is right for your lifestyle. 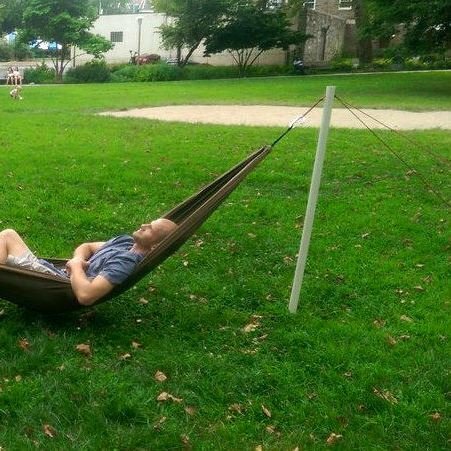 There are several things to consider when buying a hammock. Some of those may include your preferred style, hanging method and amount of space you have for the hammock. We are here with information on all of the considerations above. If you have any questions about your hammock after choosing it you can check out our Hammock FAQ page. Our large variety of hammocks are available in five basic styles: American, Brazilian, Mayan, quilted and rope. Brazilian hammocks are typically made with a cotton or polyester fabric and do not have spreader bars. These hammocks make great sleeping hammocks whether you like to snooze out on the patio or are considering the adventurous route of replacing your bed with a hammock. Depending on the size of the hammock, Brazilian hammocks can hold one to two people. Mayan hammocks are usually hand-woven hammocks in either a natural creamy white color or bright multiple colors. Mayan hammocks also make good sleeping hammocks as they cocoon you while still being breathable. The Mayan style is an excellent option if you’re looking for an outdoor hammock bed. However, Mayan hammocks offer the largest size range. We offer single Mayan hammocks as well as hammocks that can hold entire families! American style hammocks are hammocks that are designed with spreader bars. These hammocks can be made with traditional rope, fabric or quilted material. Spreader bars are great for people who love to lay in the sun outdoors since the bars help keep the hammock from closing in and creating shadows over its occupant. However, these hammocks have more of a tipping effect because they swing more strongly than non-spreader bar hammocks. Depending on the size of the hammock, American hammocks can hold one to two people. Quilted hammocks are perhaps the most comfortable hammocks available. They are considered quilted because of the polyfill that is stitched between two layers of fabric. Quilted hammocks feature spreader bars, making them easy to get in and out of, and are usually reversible so you could potentially get two styles of hammocks in one. Rope hammocks are considered an American classic. With their spreader bars at each end and durable, charming design they add charm and comfort to any space. 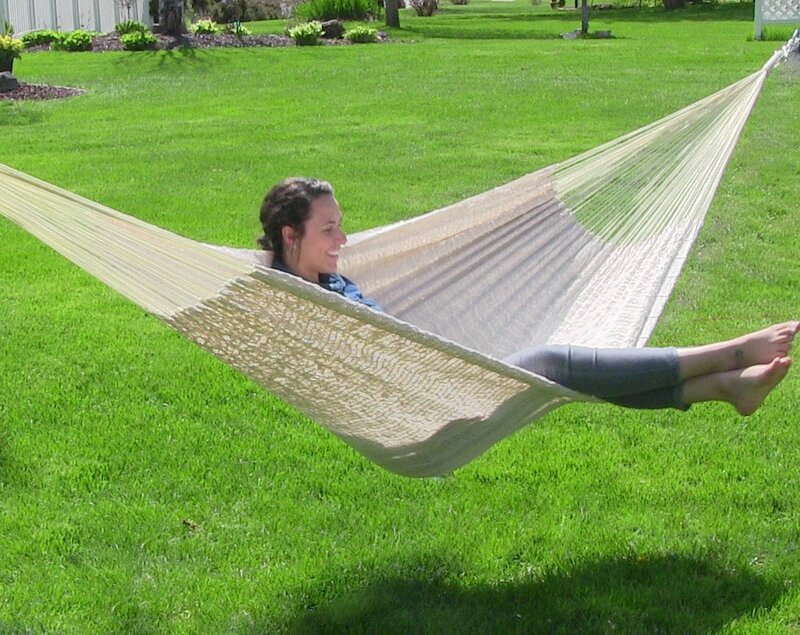 These hammocks are woven with durable polyester or cotton rope. They’re made to last and provide comfort to many. Cotton hammock options are more traditional, softer and tend to have a more natural appearance than their polyester counterparts. Cotton rope hammocks will eventually turn tan with more exposure to the sun and cotton fabric hammock colors will fade with time. However, if you choose to get a cotton hammock then make sure to take your hammock indoors or store it in a shed or garage when it is not in use to increase the lifespan of the hammock. Polyester is more weather resistant than cotton and thus will withstand Mother Nature’s elements better than cotton. With today’s technology, hammock manufacturers are finding ways to make polyester much softer than it used to be. 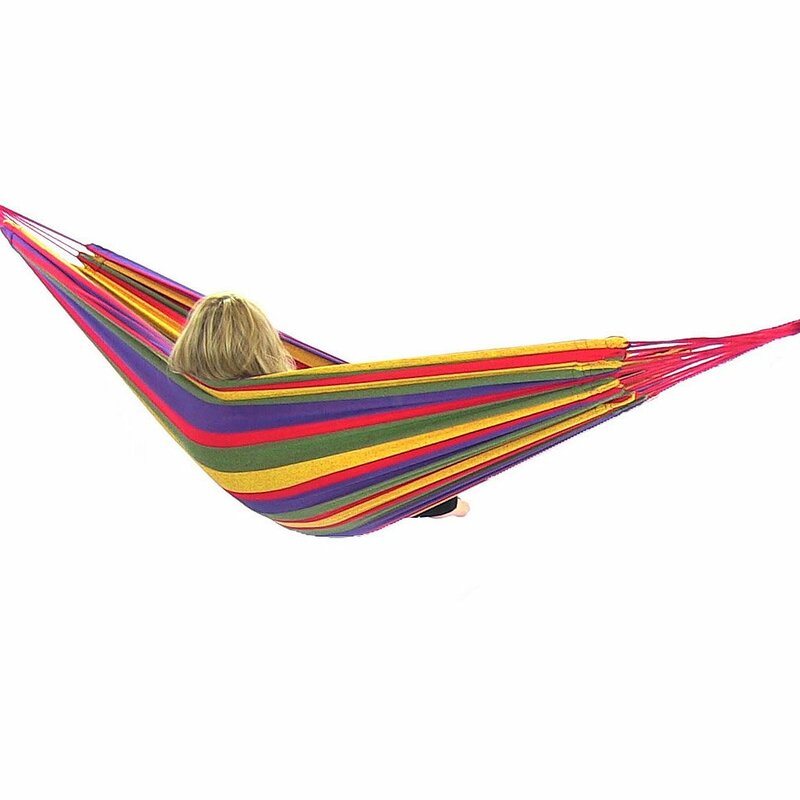 The colors of polyester fabric hammocks are also not as likely to fade as they are on cotton fabric hammocks. However, please note that while these hammocks are more weather resistant, we still recommend taking them indoors, as well, to help ensure the longevity of your hammock’s life. The hammock bed size refers to the midsection area of the hammock on which you will lounge and relax. It does not include the ends of the hammock. The main difference in hammock bed sizes is the width. The width of a hammock determines whether the hammock is capable of comfortably holding one person or a whole family. Decide between a small, one-person hammock, a two-person hammock with a stand or a large, three-person hammock to accommodate your whole family. Single hammocks are suitable for one average sized adult and the bed size width ranges from 39 to 50 inches. The length of single hammock beds typically range from 76 inches to 79 inches. Double hammocks are large enough to comfortably hold two average sized adults. The width of the bed ranges from 52 inches to 60 inches. The length of double hammock beds is usually 74 to 79 inches long. Matrimonial or queen sized hammocks are usually more than large enough for two average sized adults. 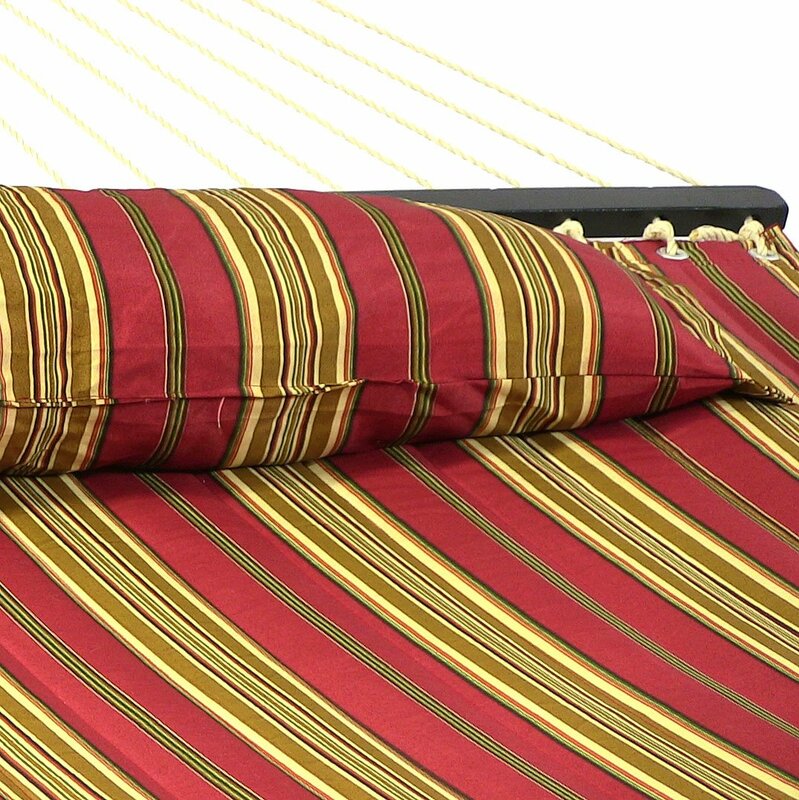 Our Matrimonial hammock beds are 69 inches wide by 79 inches long. Family or king sized hammocks are very large. They are designed to accommodate two to three average sized adults. The width of our family hammock bed is 79 inches wide by 79 inches long. *Please remember when selecting your hammock size to note the weight capacity. For your safety and your family’s do not exceed your hammock’s weight capacity. Once you choose your hammock, you will need to decide how and where you will hang it. Whether you choose posts, trees, stands or walls, read on to find out what you need to know. 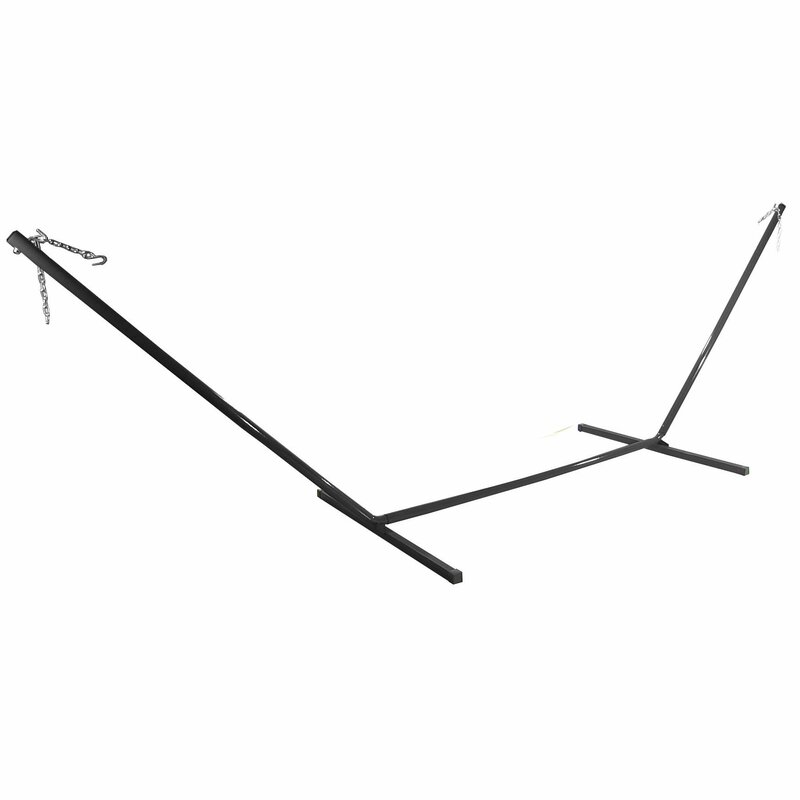 We offer a large variety of stands to suit your hammock needs. Our universal stands work best with Brazilian hammocks while our 12-foot stands and 15-foot stands work for American style hammocks and 15-foot stands work best with the Mayan style choices. 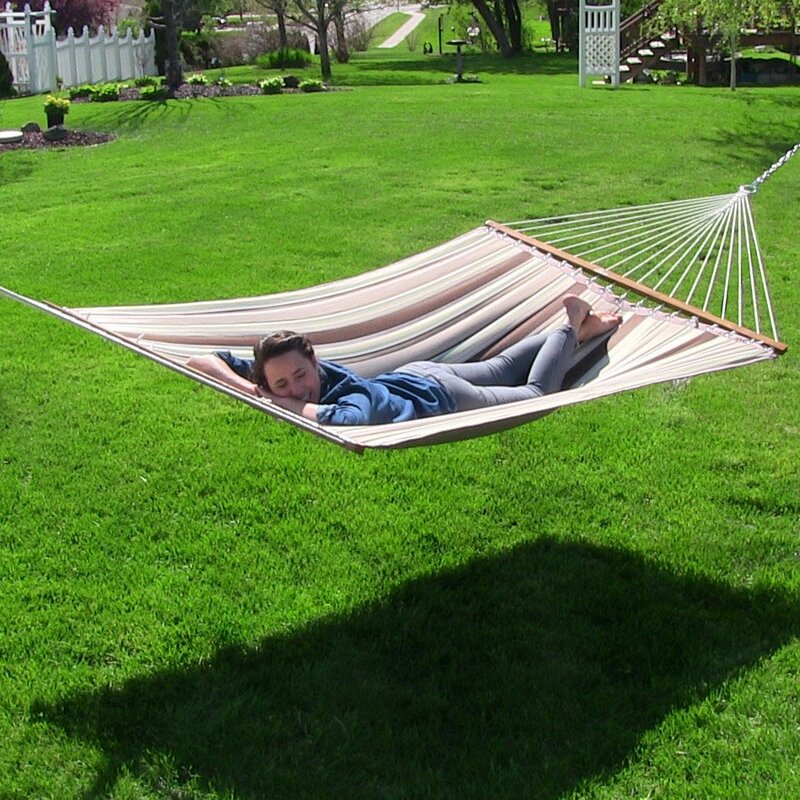 If you are unsure of what size stand to use check the specs tab of the hammock on our website. The size stand the hammock is most compatible with should be posted there. While we do not sell posts on our site, hammock posts can be designed with two four-inch by four-inch boards secured at the bases with cement. Be sure to use the length of your hammock plus 18 to 24 inches to allow for stretching and comfort when you measure for the distance between the two posts. 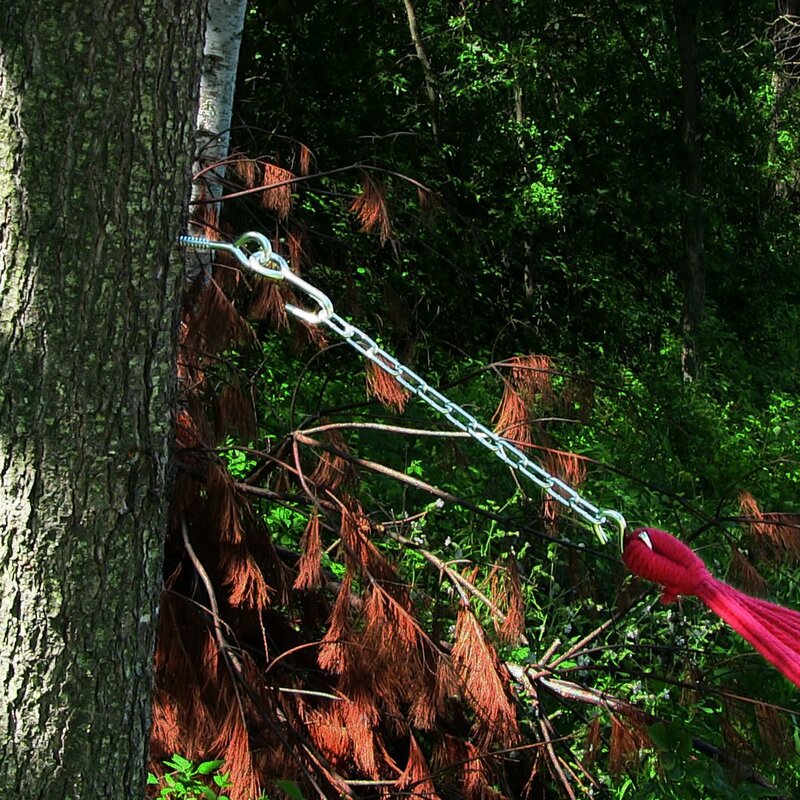 Hanging chains can be used for increasing the length of hammocks to help them better fit on a stand, between posts, walls or trees. 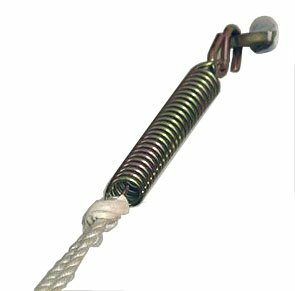 Hammock hanging springs are a reliable and durable method to hang your hammock whether it is installed on a wall, post or tree trunk. 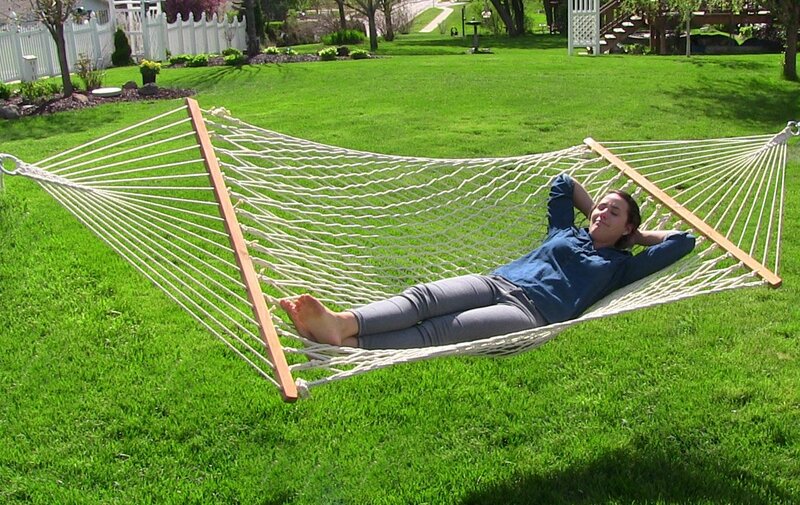 The springs will flex with the movement of the hammock and is a great way to hang a hammock indoors or outdoors. If you choose to hang your hammock between trees then tree straps or ropes are your best option. 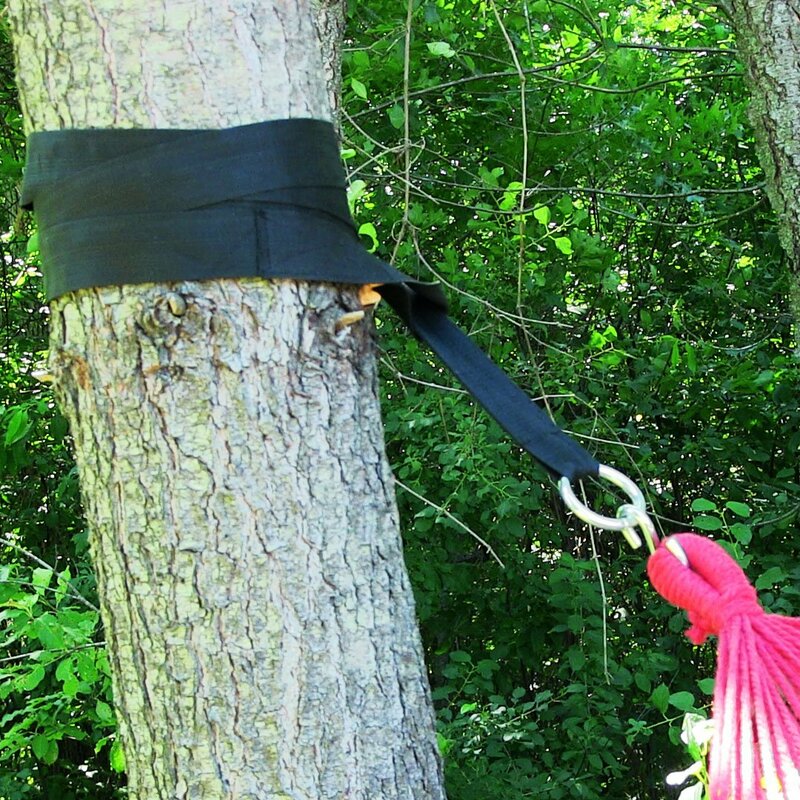 Tree straps and ropes are designed to wrap around nearly any tree. They are also great options if the hammock will only be in that location temporarily. As with hammock posts, the distance between the two trees should be 18 to 24 inches more than the hammock’s length. With so many brands of hammocks out there, it’s hard to know where to turn. Luckily, we here at Serenity Health & Home Decor have done the research for you. We’ve also made your choice simpler by only offering hammocks from our own brand, Sunnydaze Decor. Sunnydaze Decor is a manufacturer of quality home and garden products. The folks at Sunnydaze Decor travel the world in search for high quality and excellent value. They strive to provide you with the best of the best—hammocks that are truly comfortable and bring beauty and relaxation to your home whether you use them indoors or out. Buying hammocks may seem like a straightforward process on the surface. However, when you go to buy a hammock, you may be surprised at the number of options available to you. Be sure to take note of the information provided in this guide to help you as you go forward.